Fast, reliable change orders complete with detailed descriptions, costs and more. 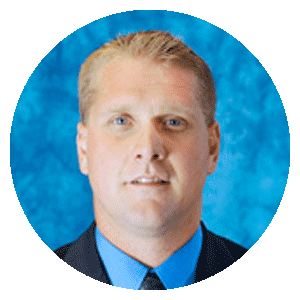 In the fast-paced construction industry, the ability to control change orders is important. Manage Change Orders within ConstructionOnline™ and ensure absolute clarity. Create and manage your project change orders for clearer communication. Easy is good, but quick and easy is even better. For a required responsibility that is typically a painful but crucial part of successful project management, ConstructionOnline™ Change Order Management simplifies the change order process dramatically. 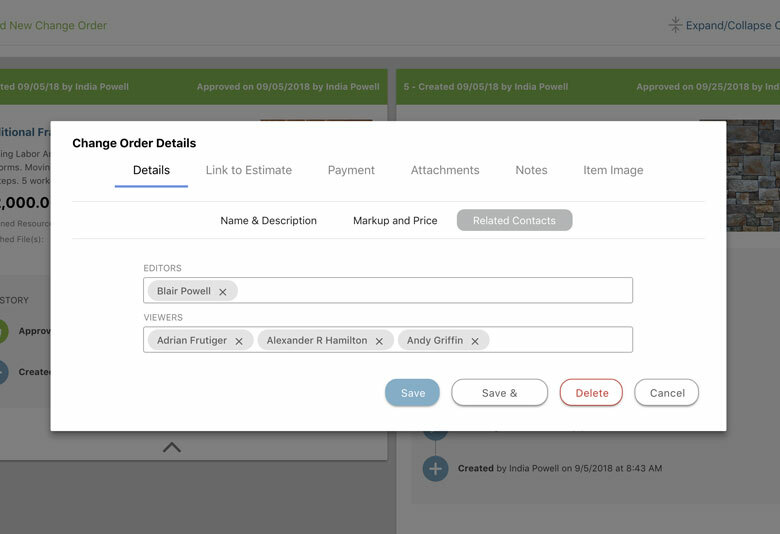 With ConstructionOnline™ Change Order Management you can quickly create change orders anywhere with a web connection, including name, detailed description, costs, additional time, attached files, images, and more. Once you enter the Change Order your client and related parties will be able to log into ConstructionOnline and review or approve accordingly. Managing Change Orders is one of the top 3 major issues that can derail a construction project. 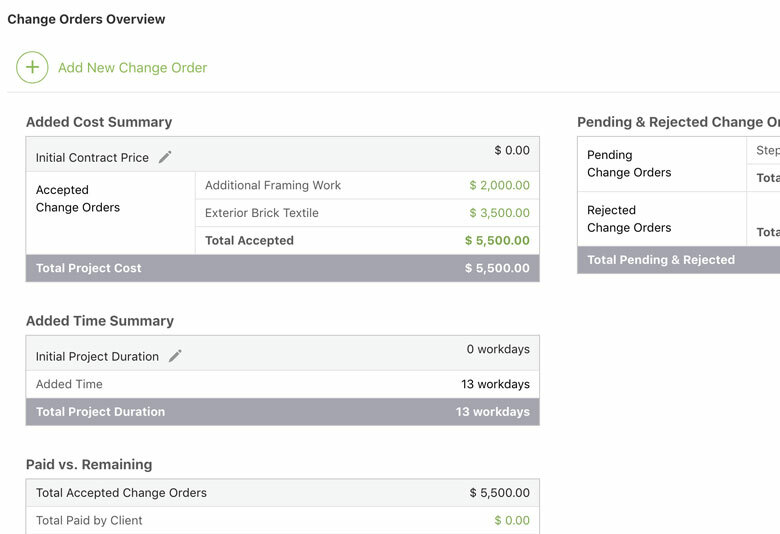 ConstructionOnline™ Change Order Management offers your clients a clear and simple way to review and approve changes, all from the convenience of their computer. Never again will you hear complaints about clients not understanding what a change order would cost, or how much time would be required for completion. In addition, clients can review a running total of all Change Orders, including approved, pending, and declined orders, adding more clarity to the process without taking more of your time. As projects progress, everyone (contractors and clients included) wants to know where the project stands currently related to Total Costs and Schedule changes. 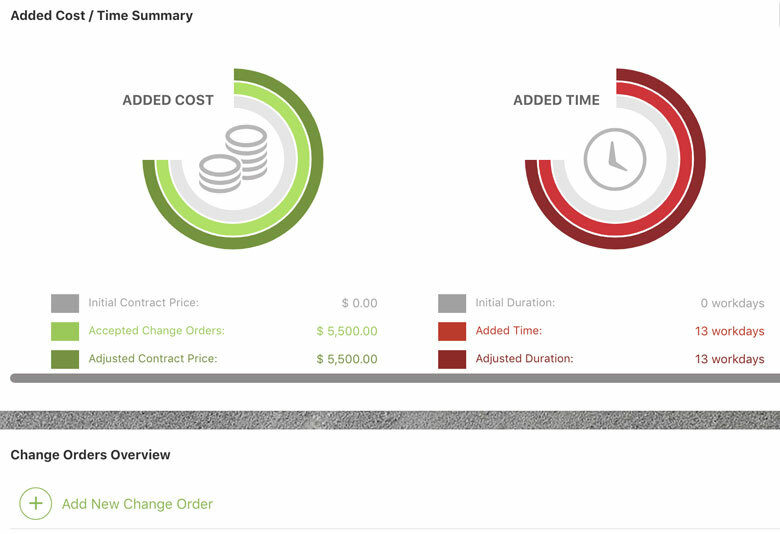 ConstructionOnline™ Change Order Management provides a clear, itemized breakdown of all change orders and summary views for original project costs, accepted change orders, declined change orders, and more. For Scheduling, ConstructionOnline™ Change Order Management includes a running total of additional days added to the schedule for approved changes. Detailed Confirmation Emails in ConstructionOnline™ Change Order Management are sent to all related parties including the contractor, clients, subcontractors, suppliers and anyone else that you add as a related resource to the specified change order. This level of automated communication is another guarantee that there will be no surprises, delays, or miscommunications throughout the process. And when it's time to close out a project, there's less of a chance that problems relating to change orders will crop up, helping you avoid sticky situations. ConstructionOnline™ allows you to do change orders in half of the time that the conventional way takes. ConstructionOnline™ Estimating & Job Costing gives you the tools you need to create fast, accurate estimates and track your financial progress from start to finish. 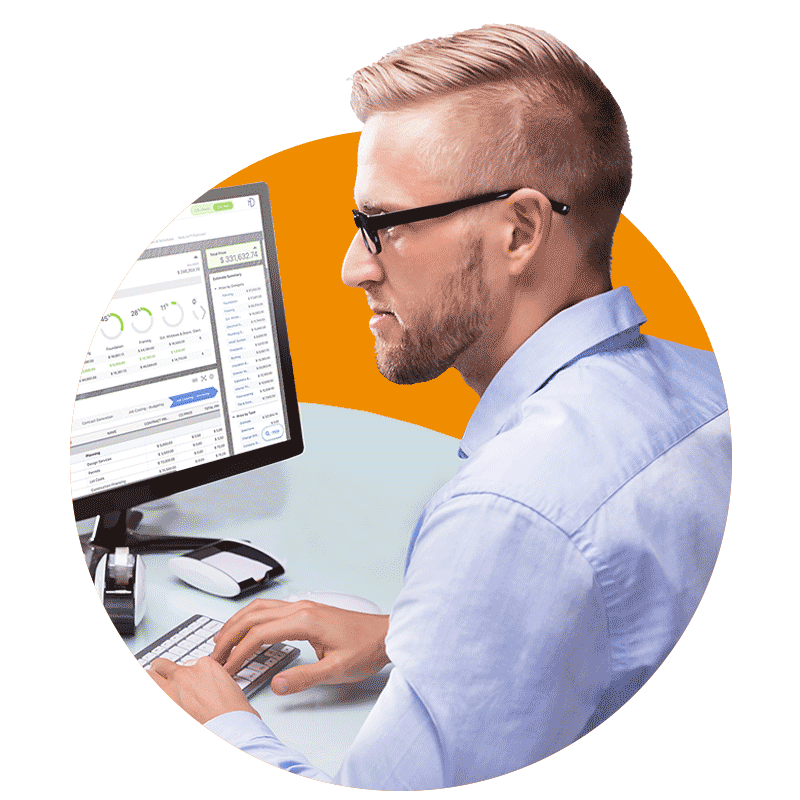 Integrate with QuickBooks, import and export from excel, track paid vs. remaining and more. 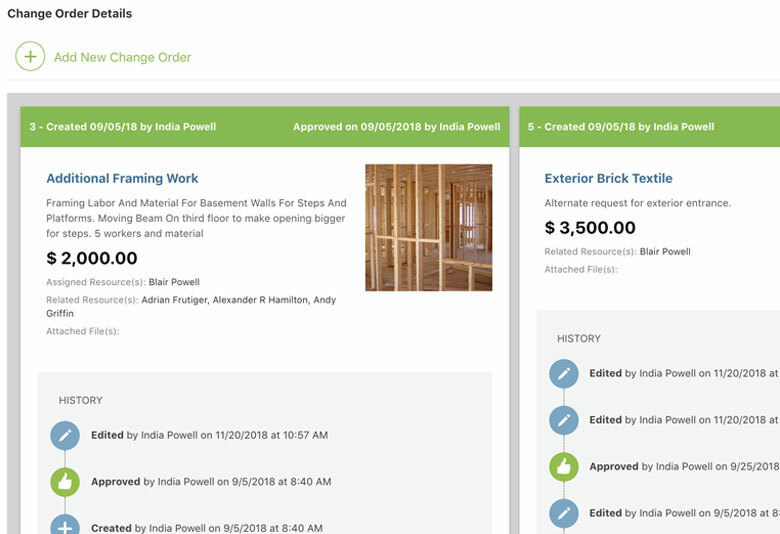 New ConstructionOnline™ Change Order Management offers clear advantages over existing systems: By giving you the power to list complete details, costs, additional time, notes, and images, ConstructionOnline™ Change Order Management is clearly better. Clients are happier without surprises, and anything that you can do to automate the process of better, more profitable, faster projects is worth it's weight in gold. With Client Selections in ConstructionOnline™ you can quickly create option sets with a simple web interface. The ConstructionOnline™ Accounting integration's dynamic options are designed to give you ultimate control over your project estimates. Keep all of your information in one place, making it easy for you to see a complete picture of your project. Construction Project Management Financial Tools for Pros Like You. Use ConstructionOnline to streamline your project management process by bringing your team, tools and data together in one place. UDA Technologies is one of the fastest growing providers of construction project management software in the United States, Canada, Australia, and 75 countries worldwide with double digit, industry leading revenue growth. Designed for growing construction firms, UDA construction software manages over 70 billion dollars of construction annually. UDA Technologies was founded on a desire to revolutionize the construction world by bringing millions of users together with a single purpose: to create a construction project management platform that empowers professionals to build a better world by harnessing technology to lower the cost of construction. In order to achieve this purpose, we operate on a handful of core beliefs. We believe in an open network which opens channels of communication and removes barriers. We believe that software is empowering. We believe in leveling the playing field. We believe in dreaming big. Our goal is your success and we believe our products will help grow construction firms around the world. Managing $70 Billion dollars of construction every day. Top 5 most recommended product from Software Advice.